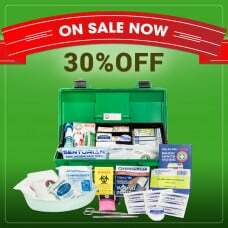 School, Education & Childcare Facility First Aid Kit Sale! Ensure compliance with recommendations from National and State authorities. Schools, Universities and Childcare facilities are considered LOW risk under the National First Aid Code of Practice. Please note: If your school does any sort of machinery work with the students or work outdoors in extreme heat or cold then one of our High Risk Workplace Kits will be more appropriate. Consider the maximum number of staff, students, and visitors that this kit will provide cover for? Fast access to a First Aid Kit is important, so consider the location and the number of people at that location. Ensure you cover the “out of the school” needs by having a Portable First Aid Kit - whether for the playground or an excursion. If beyond one hour of a permanent medical facility then you will need the K1666. 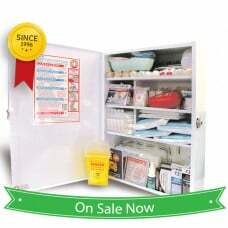 Top of the range K1666 First Responder First Aid Kit is for those serious about safety. It is design..
Our K159 Childcare Bum Bag First Aid Kit is a great immediate response First Aid Kit that allow..
Our K309 is a small Hard Case First Aid Kit. 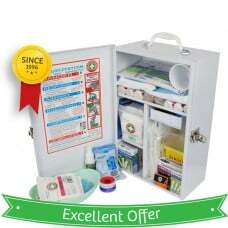 It has been designed for portability and use..
Our K709 Education and Childcare Compliant Wall-Mount First Aid Kit ensures that you ..
Our K809 Education and Care Service Compliant First Aid Kit ensures that you are covered for cl..
Our K909 Education and Care Service Compliant First Aid Kit ensures that you are covered f..
Our K1009 Wall-mountable Childcare and School First Aid Kit is as big as they come. Housed..
Our K1444 Backpack is designed specifically for a State or National team. It ha..